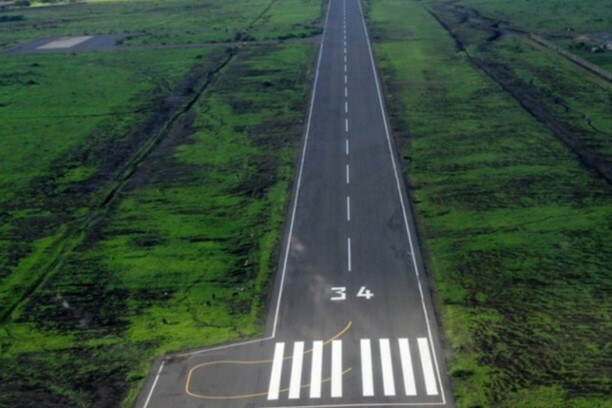 Land acquisition for upgrade and expansion of Isiolo Airport from a small airstrip to an international airport commenced in 2004 when Kenya Airports Authority (KAA) wrote to Isiolo County Council requesting that land be set aside for the project. The process of determining which people were the rightful owners of the land and therefore legally entitled to compensation was fraught with difficulties. New Part Development Plans (PDPs) were issued, which participants of focus group discussions conducted by the Land Development and Governance Institute (LDGI) said undermined security of tenure because people who wanted to re-allocate, or grab, land would be issued with a new PDP. This resulted in double or triple issuance of allotment letters over the same parcel of land. Land rights of new allotment letter holders were pitted against those holding previously issued PDPs. 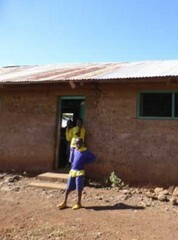 Resettlement commenced in 2008, in three areas: Mwangaza, Kiwanjani and Chechelsi. Some of the plots were already occupied, a problem which community members said would have been known if they had been involved in the committees identifying the resettlement areas. Residents neighbouring the project site were apprehensive that their land would be targeted for future acquisition, or their use of it inhibited by continued reference to the land as being part of the airport complex. There were boundary disputes between affected communities and airport authorities. 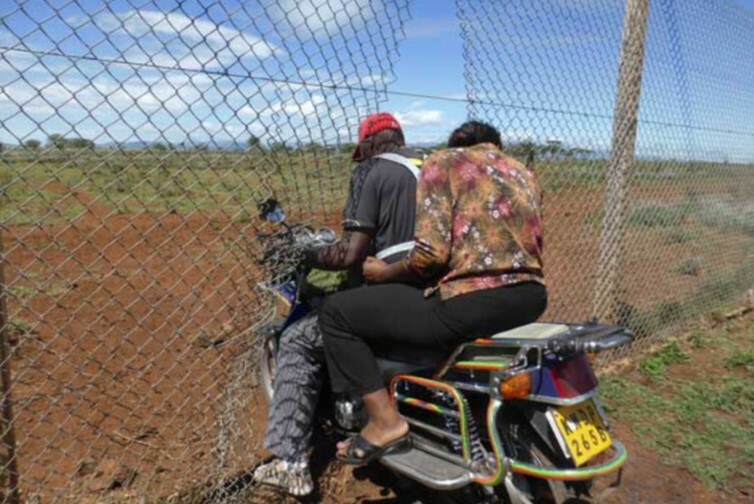 One incidence was in 2008 when KAA officials arrived to fence off and try to annex plots of land. Villagers drew their attention to a map showing that their land and properties were not part of the land allocated for airport expansion, a claim which was proved to be accurate. Compensation disputes were still evident in November 2016, when operations of the expanded Isiolo Airport were imminent. The problem of over-allocation of land rights documents had caused chaos and many displaced people found it impossible to resettle in the designated areas. Yet more displacement loomed because a 16 hectare area was required, to be cleared for security reasons. A 2017 report on tensions between land rights and development in Isiolo County, by human rights organization Hakijamii, found that the Isiolo Airport project had failed to uphold many aspects of human rights, pertaining to information, housing, employment, education and provision of water. Communities were not informed about the impacts of Isiolo Airport and other megaprojects on their lives. The airport is just one component of the LAPSSET Corridor, which also comprises Lamu Port, resort cities, a Standard Gauge Railway (SGR), oil refinery and pipeline. A majority of respondents to the survey for the Hakijamii report, 73 per cent, had not even been aware of the LAPSSET projects until eviction started around the land allocated for Isiolo Airport. Affected people had not been adequately involved in project implementation and, overall, the megaprojects had not enhanced any basic public services. Specifically with regard to the airport, prior to evictions in Mwangaza, inhabitants were hurriedly summoned to vacate land without adequate notice and were unable to prepare themselves practically or psychologically for relocation. Their rights to information and involvement were violated. The issue of some of the land allocated for resettlement already being occupied had directly deprived people of their land and violatedtheir right to compensation. Thirty-two evicted Project Affected Persons (PAPs) had still not been compensated and their land dispute cases remained unresolved. Demolitions had led to failure to provide adequate housing for inhabitants of the Isiolo Airport area. Most affected residents had been forced to seek temporary shelter with family and friends. Residents had not been made aware that their parcels of land were located within the area allocated for the airport before inception of the expansion plan. Most of the jobs at Isiolo Airport had not been awarded to local people and 78.8 of respondents to Hakijamii’s survey felt that the airport expansion project had made people poorer. The airport project also impacted negatively on rights to education; several learning institutions were adversely affected by evictions and those adjacent to the airport affected by noise pollution. In May 2016, as the expanded airport prepared to commence operations, K L Nkengecia Primary School, established in the late 1980s on land donated by the community, just 1 kilometer from the runway, had yet to be relocated. Yet the school was encircled within the airport fence and the airport management denied them access. KAA had yet to fulfil its promise to relocate the school to an alternative site. 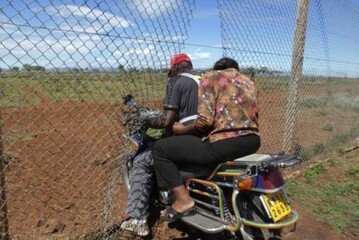 In order to access their school pupils and teachers cut a hole in the fence. 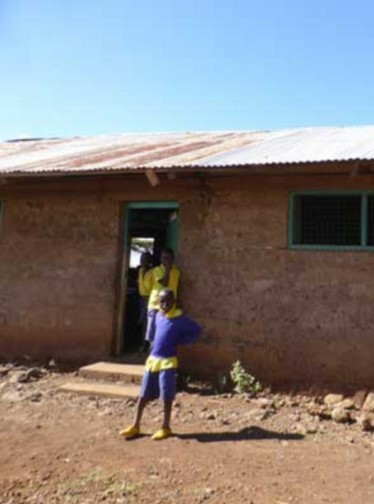 They continued to attend school in spite of the safety risks and with noise and pollution from aircraft and ongoing construction works affecting pupils’ ability to concentrate on their lessons. Expansion of Isiolo Airport reduced water supplies to Isiolo Town. Most of the water supply was devoted to the airport for construction and operations. In May 2016 it was reported that thousands of residents in three wards of Meru County were left without water for two weeks when pipes supplying the county were ruptured by a bulldozer that was being used by a contractor working on Isiolo Airport. 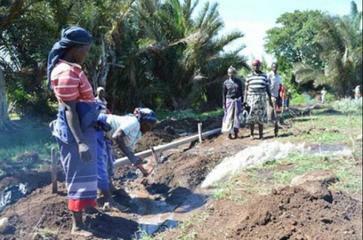 Dozens of women and men dug a shallow furrow in the banks of the Kithima River in an attempt to restore a water supply, and villagers were forced to make 20 kilometer journeys to access water. Construction of pipelines for the Isiolo Phase 2 Water Project, a key purpose of which was to increase the water supply to Isiolo Airport, caused more protracted tensions with local communities. Supplies of water from the two rivers from which water was being tapped for the airport were already strained, causing tension between communities downstream. Volumes of water receded drastically during dry weather, the flow reducing to a trickle. After a protest against the water project, on 11th April 2016, 26 residents, including six students,were arrested. 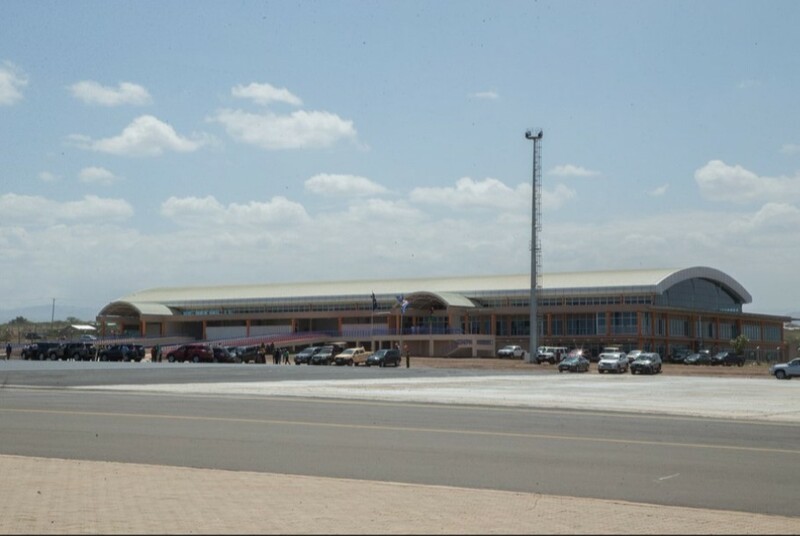 Project Details Isiolo Airport is developed and operated by Kenya Airports Authority (KAA), a government-owned enterprise. The 329.7 hectare site is situated on the border between Isiolo County and Meru County. Upgrade and expansion of the facility from a small airstrip to an international airport to accommodate heavy commercial aircraft such as the Boeing 747 and Airbus A380 was completed in July 2017. 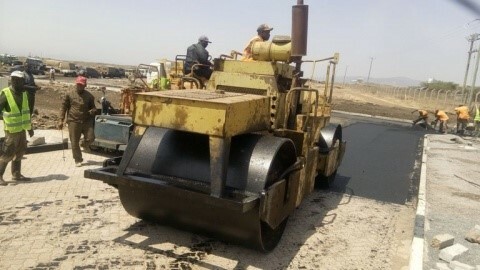 Construction if Phase 1 of the upgrade began in 2011 and the airport runway, lengthened from 1.5 kilometers to 2.5 kilometers, opened in 2013. Ground-breaking for a new terminal meeting international standards took place in February 2013 and works were completed in February 2016. Phase 3 included an apron and access roads, completed in March 2016. The government of Kenya commissioned Isiolo Airport in July 2017. 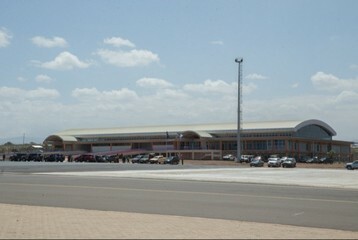 The programme to upgrade and expand Isiolo Airport cost USD27 million. The airport has sufficient capacity to handle 350,000 passengers annually. But in April 2018, eight months after it was opened, Isiolo Airport was underultilized, operating at a small fraction of its capacity with a mere four flights per week. Why? Explain briefly. There were environmental justice failures as some residents were not compensated by the time the expanded airport commenced operations.